I’ll be straight to the point with this one. For those that do not know what the Just Cause series is about; a mostly mediocre story, an absolutely huge open world (1024km2 to be precise), one man, a whole artillery of weapons and vehicles, total ridiculous chaos and a multi-purpose grappling hook. Especially now, with this new episode in the Just Cause Series, in the fictitious country of Solis in South America. Apart from the super graphics in the game, nothing much has changed apart from a new weather system with tornados that can create a lot of damage, but this can be done to Rico’s (the protagonist’s) advantage. That, and more realistic and fluid gameplay which can make the imaginable real. Coming in at No. 4, our friendly, and all-round bendy neighbourhood Spiderman. Let’s try and move away from the nerdgasm I get with anything to do with Marvel – Insomniac Games’ Spiderman really took the cake when comparing it to other comic book based video games. Apart from the well-written story, its character development and building points, the breath-taking views of New York and Spidey’s awesome suits, what really impressed me with this game is its fluidity. Sometimes it felt almost therapeutic traversing across Manhattan’s sky scrapers. This totally takes the cake as my favourite comic book game ever. Assassin’s Creed Odyssey, in my opinion, due to its game mechanics, its wonderful scenery, the characters you meet – including the people and creatures you battle, makes it THE contender for the no. 1 spot. This was not reached due to something that the Assassin’s Creed Franchise suffers a lot from, and that’s mediocre and predictable writing, especially since AC2. Nonetheless, this was in my experience, the second best Assassin’s Creed to date, with only Ezio Auditore’s Assassin’s Creed 2 in the #1 spot. Who else to take the #1 spot this year but Red Dead Redemption 2. RDR2 is an open world action-adventure game developed by none other than Rockstar Games, developed as a prequel to Red Dead Redemption 1 in 2010. While this game is unlike many other games in the wider genre, which explores fast-paced action and immediate control and gratification like AC: Odyssey, which in my opinion is still one of the best games this year, RDR2 will surely be one of the most memorable. Red Dead Redemption 2, in my opinion, will act as a benchmark for most games in the future. In a weird way, the game can be described as a western world simulator. A game which sometimes can be slow, and boring when traversing between missions, but if you’re up for exploring off the beaten track and finding new animals, landmarks or trying to find a good spot for an in-game selfie then you’ll absolutely fall in love with this well-deserved hyped up game. 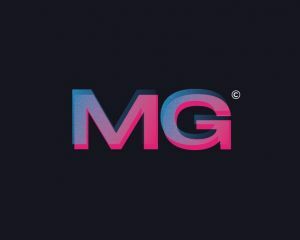 Monsoon Gaming is a content creator for gamers. We give gamers the info they want to hear. No bull. Just honest gaming content.